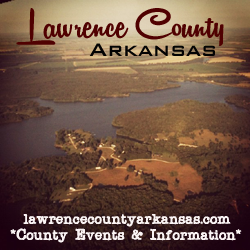 Adoption of a one-half of one percent (0.50%) local sales and use tax within Lawrence County for a period of ten years, the net collections of which remaining after the deduction of the administrative charges and required rebates of the State of Arkansas shall be distributed to and used by the County to operate and maintain a hospital known as Lawrence Memorial Hospital. Municipalities in the County will not receive a share of tax collections. The levy of the sales and use tax shall commence on January 1, 2014 and expire on December 31, 2023.